New Troops Baby Dragon and Miner Analysis! The May 2016 update in Clash of Clans was just dropped and with it came the brand new baby dragon and miner troops! I had a chance to see them in action and want to do a quick analysis of both new troops! The baby dragon is a very unique troop to me. It is neat how it enrages when it is by itself in the air. I’ve seen a few high level players use one or two to knock off a couple of percentage points at the beginning or the end of a raid. It seems like a pretty interesting concept. I will finally get to try out these new troops on Monday, when my level 11 barrack finishes. Expect a video out on my YouTube channel! I think the baby dragon is a great troop for only 5 elixir, but I don’t think you should bring more than 3 per raid, since their real power comes when they are alone in the air! From what I have seen so far, the miner is an extremely unpopular card. So unpopular, in fact, that I searched through the top 100 players bases and found no miners in any of their armies! I also have yet to be attacked by the miner. The reason behind the no use is because the miner is too weak. Its biggest advantage, tunneling, is actually its biggest weakness. By tunneling, the miner is able to pass the tanky units and the defenses will target the miner instead of the golem or giant. In other words, it is simply too good. 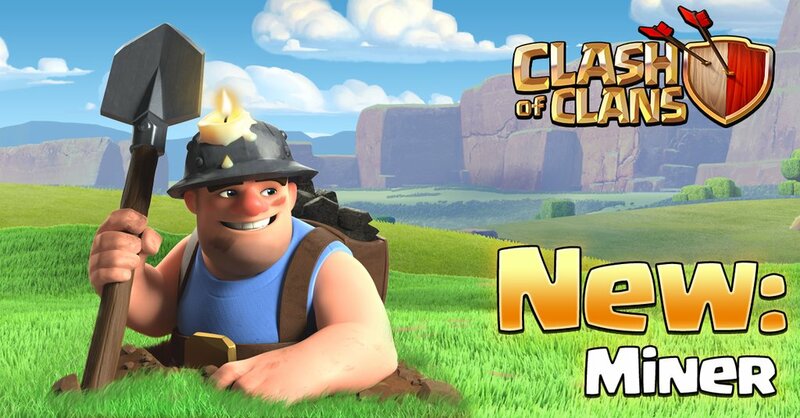 To fix this Clash of Clans must either change the miner speed or buff the miner’s HPs. I really think it would be neat to see the miner become popular across the game! Thanks for reading this quick analysis of the two new troops! Quite a shock to receive 2 new ones in 1 update, but it sure excited us all! Check back soon for more new posts! 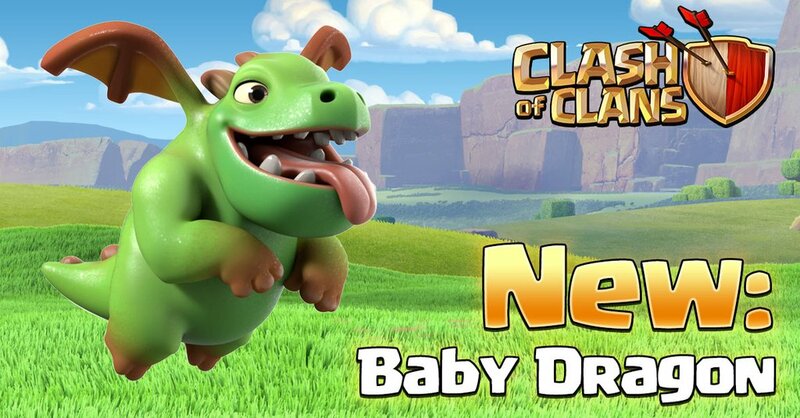 Baby Dragon New Clash of Clans Troop! Pingback: New Troops Baby Dragon and Miner Analysis! | Clash of Clans Guide, Strategies, Tricks and More!